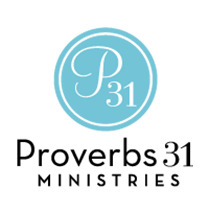 If you’ve been touched by Proverbs 31 Ministries, will you prayerfully consider giving back? Your donation of any size will help Proverbs 31 Ministries continue to reach women and families across the world. Click here to give now. It’s easy, it’s fast and it makes a big difference! Think of a time when God showed you He was there when you didn’t feel Him. Say a prayer to thank Him for being there for you, wherever you go.